Two medical practitioners (M. G. K. & S. H.) met in London on Saturday, 29 September 1973 and found that they had much in common as they entered recovery from an addiction to alcohol. They discovered that they were experiencing similar personal, family and professional problems in their recovery and that each could relate to the other’s problems because they had similar feelings arising from their problems. 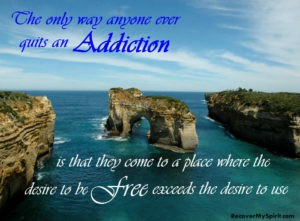 They found that meeting regularly on Saturday evenings, and sharing these feelings and problems with each other in an open and honest way, and in a safe non-judgemental environment, enabled them to work through their feelings and problems and come to terms with the effects of their addiction on their personal, family and professional live. These monthly Saturday evening meetings were in addition to regularly attending meetings of Alcoholics Anonymous (AA). These early meetings were held in The Royal Automobile Club in London and, as the club was a ‘gentlemen only’ club, our early lady members were disguised, secreted into the building and confined to the room in which the meetings took place: the disguised lady members were never uncovered although there were a few near-miss occasions. Over the next few months, a few other doctors, known to be in recovery from alcohol addiction, were invited to join the founders. To the founders’ surprise, these newcomers continued to attend regularly and were willing to travel long distances to attend the Saturday evening meetings: some even travelled from the north of England. This was the genesis of the London Group! Dentists, who have much in common in recovery with their medical counterparts, were invited to join the London Group in 1977. The Group was also opened to medical and dental practitioners who are addicted to drugs (prescription and non-prescription). The British Doctors and Dentists Group was finally formed! As the numbers increased, larger accommodation was needed for the meeting in London which then transferred to The Charing Cross Hotel, London, where it was held until late 2007. This early experience in London showed that, not only was there a need for a London based Group, but that there was probably a need for similar groups throughout all parts of the country. Over the years, meetings have been gradually established all over the United Kingdom and also in Ireland. Currently, there are around 800 members scattered throughout the United Kingdom, meeting in 18 active groups with most groups holding monthly meetings. Rarely does a month go by without enquiries being made, either to local Group Secretaries or to our National Secretary, by a drinking / using addict doctor or dentist, a spouse, relative or professional partner. In 1983, the Families Group of BDDG was formed following the Annual Convention at Selsdon Park to offer help, support and recovery for all family members who are suffering, or have suffered, from the effects of a doctor’s or dentist’s alcohol or drug addiction. Many colleagues have faced the breakup of their marriage or relationship, the loss of the trust and confidence of their colleagues, financial ruin and the loss of a career following investigation by their regulatory bodies because of their addiction to alcohol and / or drugs. 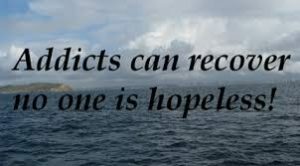 Many of our medical and dental colleagues owe their lives, and the restoration of relationships and careers, to their involvement in the British Doctors and Dentists Group where they have been able to be honest with themselves, and others, about their relationship with alcohol and or drugs and have taken appropriate action to turn their lives around and live without the need for alcohol and/or drugs. Martin K. produced a number of Newsletters which document the early development of the British Doctors and Dentists Group. These Newsletters, published in 1983, 1985 & 1994 and circulated throughout the membership of BDDG, make interesting reading as they contain powerful testimonials from early members of BDDG in the days before we had the additional support of the Dentists Health Support Programme (1982), The Sick Doctors Trust (1996) and, more recently, the Practitoner Health Programme. Over the years, many of our colleagues have turned their lives around, re-established relationships and careers with the help and support of members of BDDG and of the Families Group of BDDG to live a normal life, free of alcohol and/or drugs. We have so much for which to be grateful!